Like so many areas of Cape Town, Green Point is, of late, enjoying a second vogue. 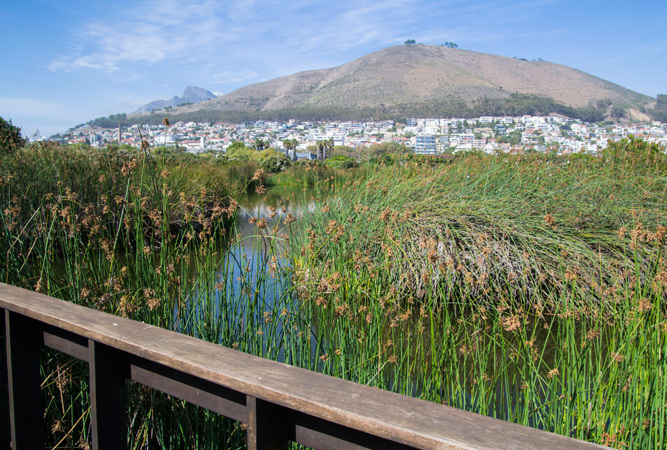 Nestled between Signal Hill and the touristy V&A Waterfront, the neighbourhood is shrugging off its reputation as the stalking ground of ladies of negotiable affection, and trading it in for a shiny new one – that of trendy trade and social hub. 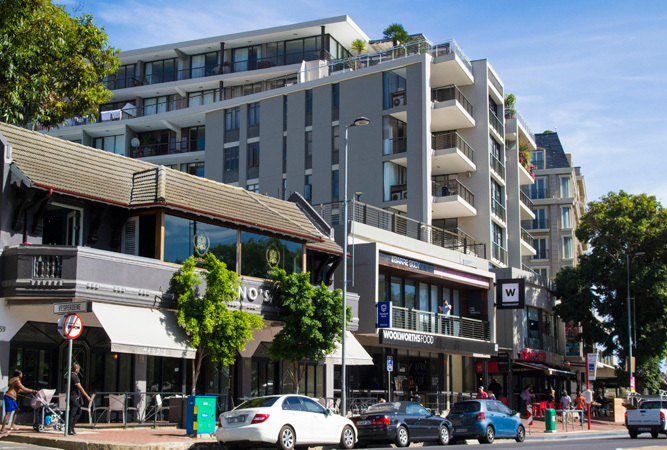 Businesses, boutiques, eateries and slick nightspots are springing up like daisies, as those in the know hurry to stake their claim in this rapidly changing neighbourhood. Of course, locals have always known they had a good thing on their hands. The bustling Giovanni’s Deli has been in business for longer than most residents can remember, and every morning sees it packed with regulars enjoying one of Cape Town’s first decent cups of coffee and a pastry, or browsing the selection of imported deli goods. Buena Vista Social Club is another old Greenpoint favourite, a wood-floored homage to the original in Havana, where I’ve personally whiled away many an evening enjoying the incredible nachos, chilli poppers and mojitos. One can cosy up on leather couches, or watch the world go by from the second floor balcony, all the while swaying to the Cuban beats emanating from inside. Slightly newer – but already a firm favourite with locals – is Miss K, a coffee shop phenomenon that sees its customers returning again and again for their mouth-watering breakfasts and assortment of delectable confectionary, including their signature, marshmallow-iced cupcakes. The décor is minimalist, very light and summery, and if you’re anything like me you’ll go to the bathroom twice for the sheer prettiness of it. Jade, a lounge bar, good for a drink that has been home to the Levi’s vintage sessions on Sundays in winter. Of course, for those with pounds, dollars and euros to burn, Green Point is a hop, skip and a jump from the exclusive One&Only Hotel, and the internationally acclaimed – and internationally priced – Maize and Nobu restaurants, the babies of celebrity chefs Gordon Ramsay and Nobu Matsuhisa respectively. 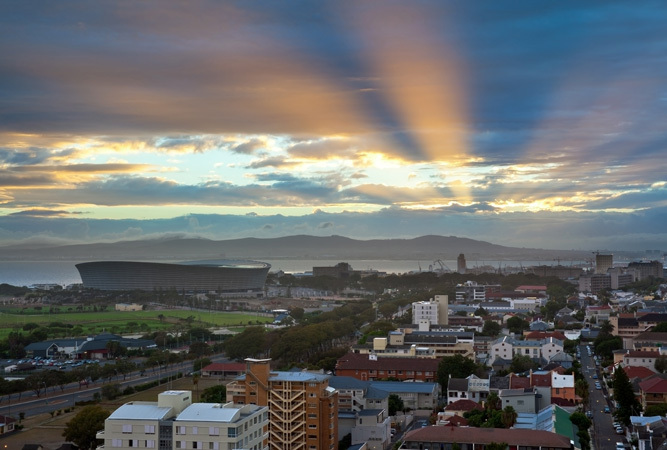 However, if it’s something more authentically South African than world-class dining that you’re looking for, Sunday mornings dawn on The Green Point Market. Get lost in the hubbub of the sprawling diversity of stalls, selling everything from carved woodcrafts to clothing to Gillette razor blades. And with less than a year until the FIFA World Cup, you can’t miss out on touring the Green Point Stadium. 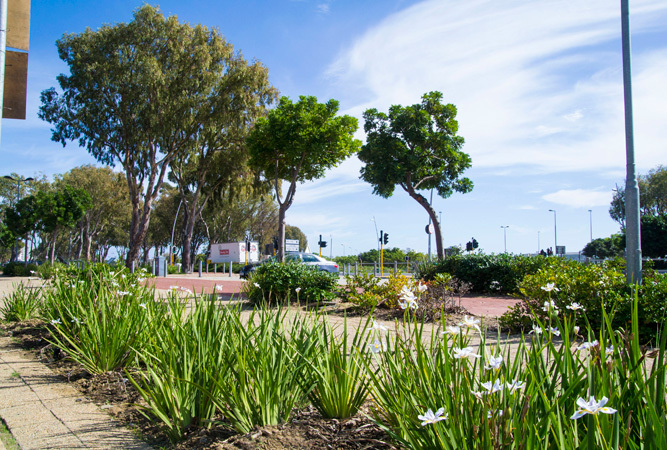 This new addition to the area caused some controversy, being erected on the old Green Point Common and spoiling a few previously unobstructed views. But the R3 billion, 68 000-seater construction is a testament to South Africa’s energy and its drive to impress while front and centre on the world’s stage. If you prefer the more leisurely sports, take a turn around the holes of the Metropolitan Golf Course, recently reconstructed to fit around the new stadium (now that’s planning). 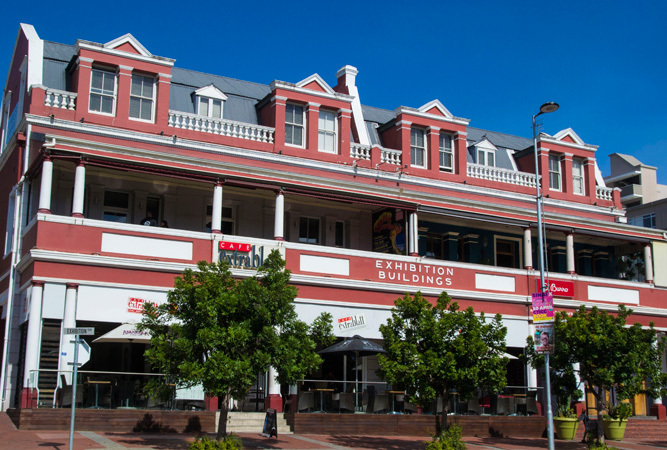 Or you could opt for many a South African’s favourite weekend pastime (seated, cheering on a game) at Hamilton’s, the oldest rugby club in South Africa. 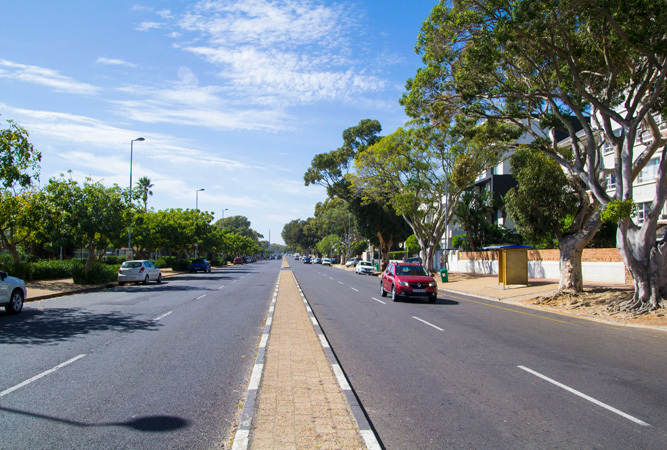 Green Point is also not without its share of Cape Town’s nightclubs, and as soon as the sun goes down, the streets really come to life. Whether it’s cutting-edge trendy you’re after, or a visit to the Point’s array of gay and lesbian clubs (evidence of the area’s history and reputation as one of the most gay-friendly spots in the world), you’re sure to find somewhere to get down till the sun comes up.